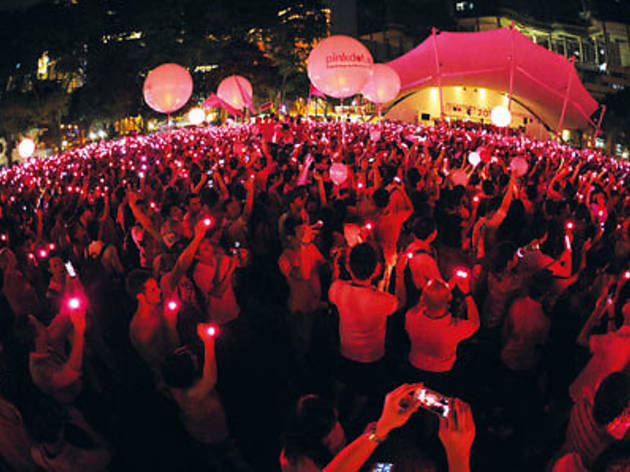 Singapore’s world-renowned LGBT event, Pink Dot, returns to Hong Lim Park for the fifth year on 28 June, with citizens gathering in celebration of ‘The Freedom to Love’, as the slogan goes. The number of supporters has grown each year, with over 21,000 participants last year (compared to 2,500 people in 2009). This year, another full concert line-up has been organised with local celebrities starting at 6.30pm, including performances from theatre mavens Sebastian Tan and Selena Tan, music mogul Don Richmond as well as Singapore Idol finalist Rose Kasmani. Also on the bill are local progressive-rock band The Voodoo Sound and funk rock band Ugly In The Morning (featuring comedian and Dim Sum Dolly Pam Oei), plus acrobatic routines and mid-air stunts from local cheerleading squad The Invincibles, plus a special appearance by the Singapore Men’s Chorus. 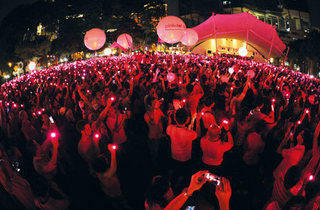 The iconic Pink Dot comes together to conclude the evening’s holistic celebration at 8pm. As usual, only Singaporean citizens and PRs are permitted to participate in the dot formation, but all are welcome to come watch the concert and observe the phototaking from designated areas.